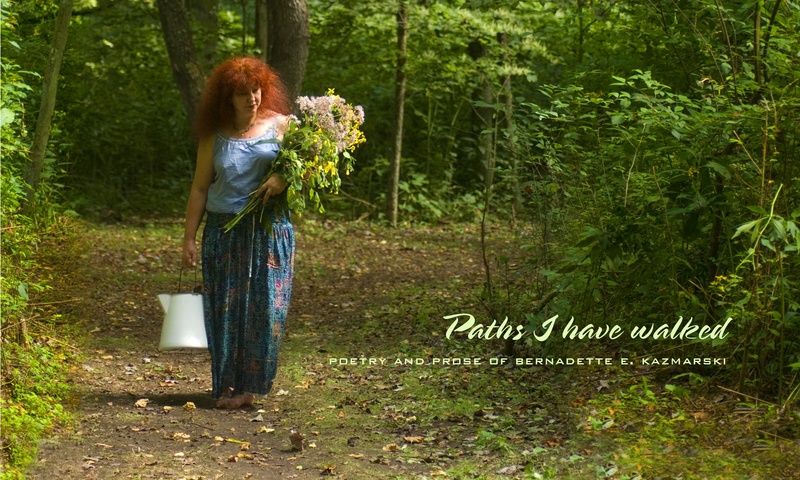 My mother died on January 25, 2011, and each year around that date I remember her in a post and share the poem I wrote for her the day she died. She had been ill for years, and this last time she’d gone to the hospital in congestive heart failure it was clear she would not recover. Kept comfortable by the hospital staff, we waited around her bed for her last breaths. Later, after clearing out her room at the nursing home, all the necessary phone calls, a visit from a friend and more calls, I had my time alone and was up quite late. As I sat outside in the quiet of the January night watching the snow gently fill the air and fall whispering in a soft blanket on all around me, the poem came to me in nearly one complete piece. So that I would not distract myself from the flowing words in my head I carefully went inside and tiptoed to my desk for a tablet and pen, quietly went back outside to the swing and wrote it down slowly, line for line, all as if I was afraid I’d scare it away, all the beautiful words I’d been thinking, or maybe I’d break it, like a bubble. I changed very little in a rewrite. I read this poem at her memorial. And I had decided I would go through with my poetry reading scheduled for just two days after my mother died, because it was an opportunity to share her with others and to read the new poem. I could never encapsulate 86 years of a life into one blog post or one photo or one poem. 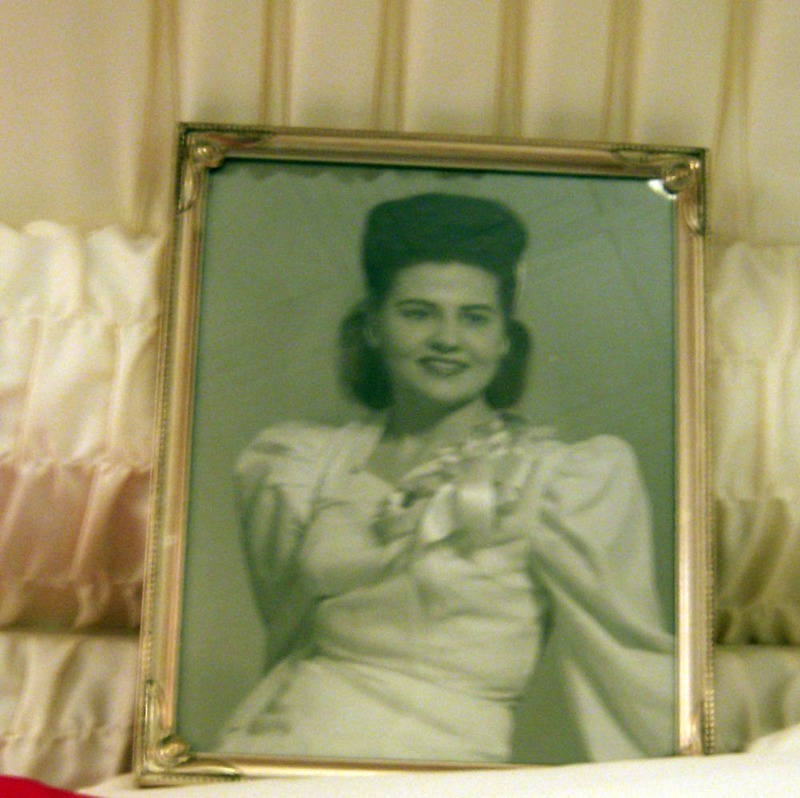 The photo above is the one we placed in our mother’s casket, her wedding photo from 1946 when she was 21 years old. The little scrap of red in the lower left corner is the red blouse she wore, the one she loved best, and I knew she’d want to be remembered in it; our mother was one who could wear a red chiffon blouse in her casket and be proud. we are essentially remembered for only one of them. this one would be her remarkable beauty. and her gray eyes are mine. is part of her legacy to us. Support my writing with a monthly donation.